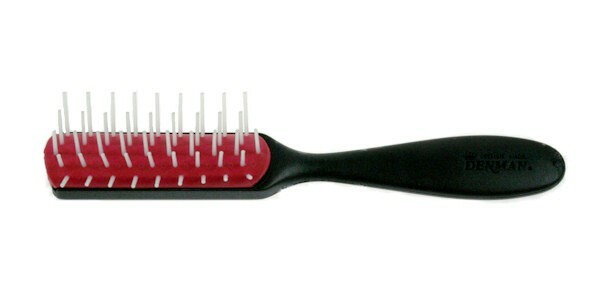 THE FREEFLOW STYLING BRUSH&nbsp#D1431&nbsp(For Volume Styling) : Brushes that can be used with all lengths, shapes and textures of hair. The widely-spaced pin formation set into anti-static rubber produces movement and lift for a softer, fuller look during blow-drying. Great for detangling thick hair. Small volume brush. Five widely spaced rows of widely spaced pins. Best for short length, medium texture or curly hair.